Under IHP of Phase-II (Owner-driven model), construction of 41,950 houses (SLR 5,50,000 per house) allotted for Northern Province. Out of 41,950 houses, 40617 houses have already been completed as on date and the remaining 1333 houses are under various stages of construction and expected to be completed soon. 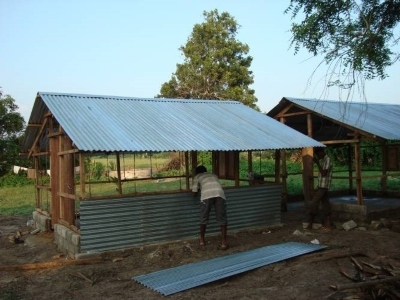 Repair of Houses: Under repair of 1000 houses in Northern Province (SLR 2,50,000 per house), 502 houses have already been repaired as on date and the repair work of 498 houses is under progress. 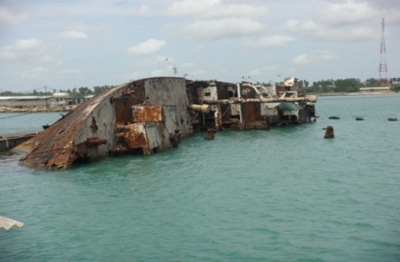 The 43 kms stretch from Medawachchiya to Madhu (Mannar). The 60 kms stretch from Omanthai (Vavuniya) to Kilinochchi. 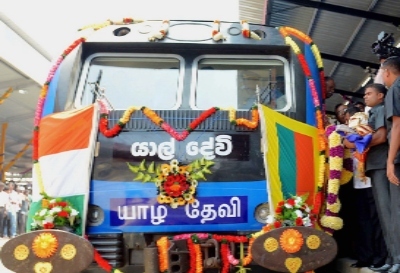 The 27.5 km stretch railway line between Killinochchi to Palai. 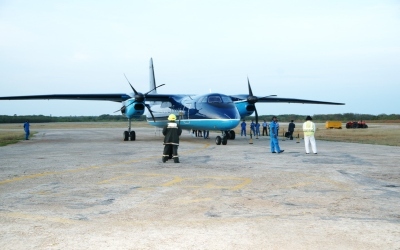 Rehabilitation of 950 metres runway and construction of 75 metres ramp. 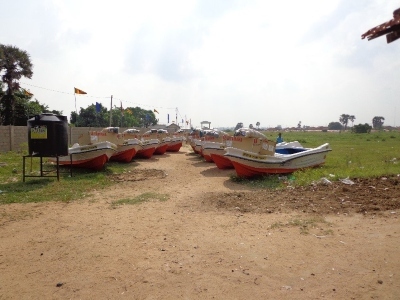 Efforts are being made to resume air service between Palaly and Tamil Nadu is under process. 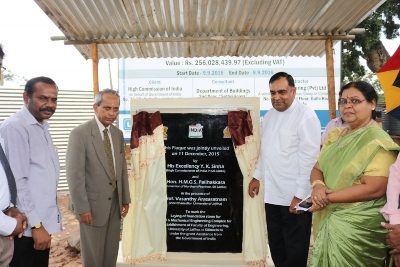 Project completed and was inaugurated in August 2014. 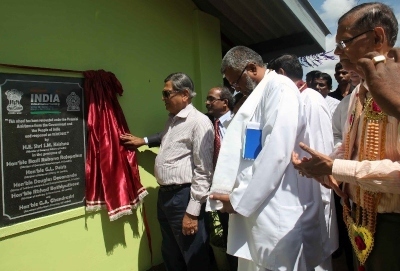 The Ward Complex has already been handed over by High Commissioner Y.K. 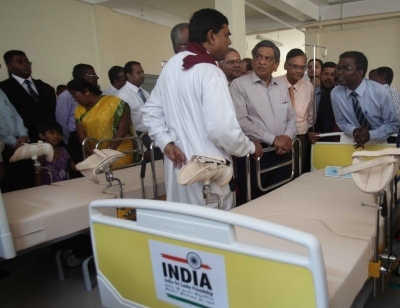 Sinha on 11 December 2015 to Hospital authorities. Supply of equipment is under process. 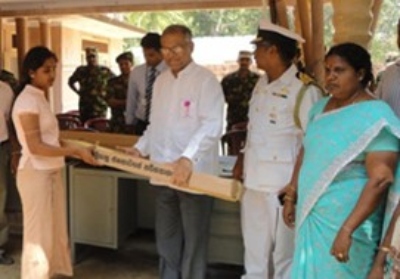 The Language Lab has been handed over to Jaffna National College of Education by High Commissioner Y.K. 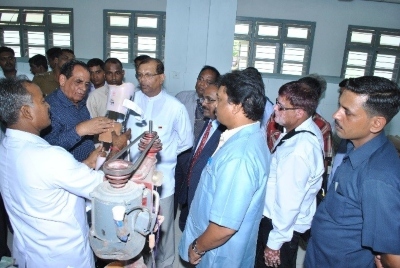 Sinha, in the presence of State Minister for Education V.S. 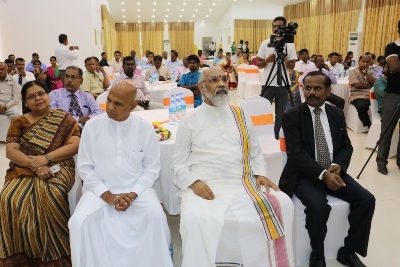 Radhakrishnan and NP Chief Minister C.V. Wigneswaran on 10 December 2015. High Commissioner Y.K. Sinha and H.M.G.S. 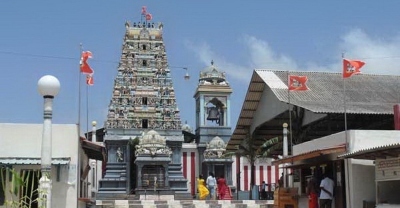 Palihakkara, Hon. 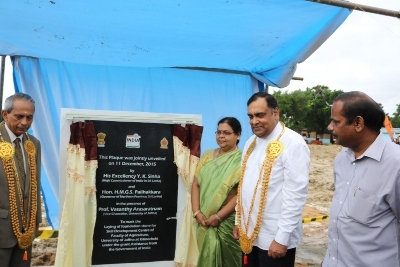 Governor of Northern Province jointly unveiled Plaque for construction of Agriculture Faculty on 11 December 2015. 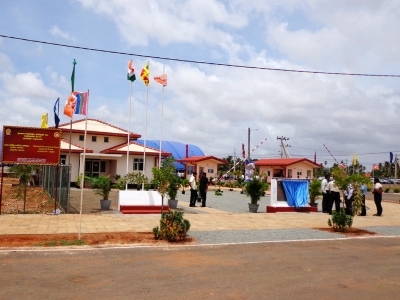 Duraiappah Stadium dedicated by Hon. Prime Minister of India Shri. 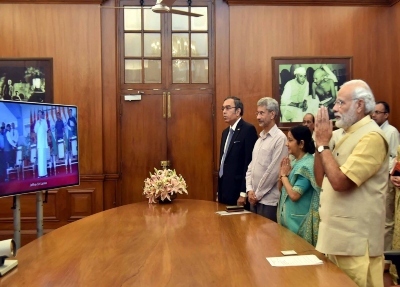 Narendra Modi, on 18 June, 2016, through Video Conferencing in the esteemed presence of H.E. Mithripala Srisena, President of Sri Lanka. The execution of the construction work has already begun. 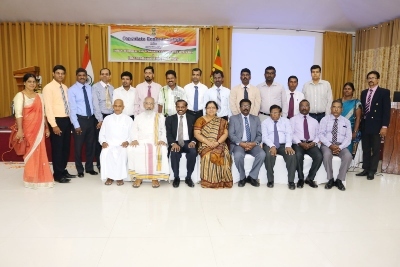 Under ITEC Programme, 26 officials from Northern Province have been selected for various short-term training courses in India during 2015-2016. During 2016-17, we plan to send between 50-55 officials from Northern Province under ITEC Programme. 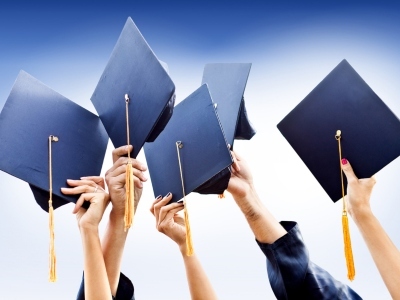 790 students are selected per year (Scholarships for 290 students for Higher Education in India and 500 students for Higher Education in Sri Lanka). The construction work would start soon. 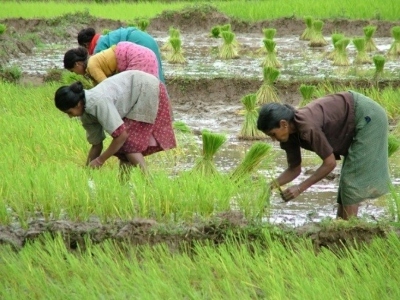 Six acres of land has already been allotted by NPC. 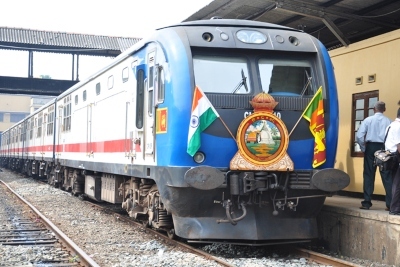 Joint Inspection of NPC and VTA is awaited. Office for National Unity & Reconciliation (ONUR) will be the coordinating agency. 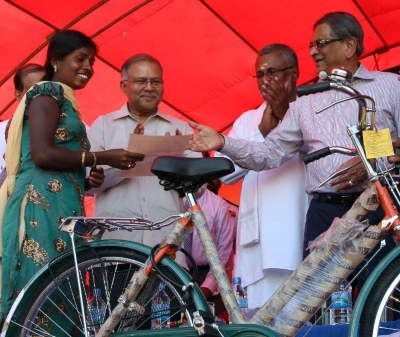 Project completed in February, 2013 by distributing 10,000 bicycles covering all the five districts of Northern Province. High valued critical equipment (101 items) already been handed over. 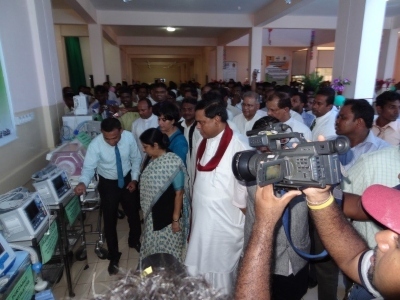 Medical Equipment to General Hospital in Killinochchi & Mullaitivu Districts. 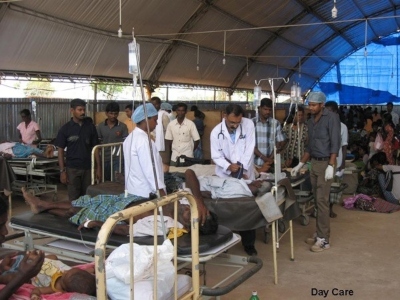 All the equipment (89 items) has already been handed over to the District Hospitals, Mullaitivu and Killinochchi. 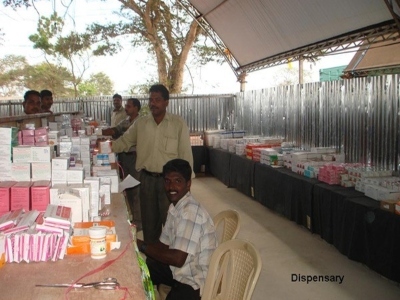 The Medical Unit treated about 50,000 patients and conducted about 3000 surgeries on IDPs. 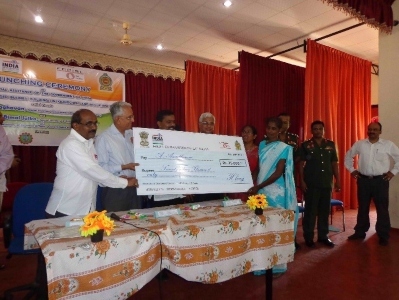 500 tractors distributed to Agrarian Centers across Northern Province. 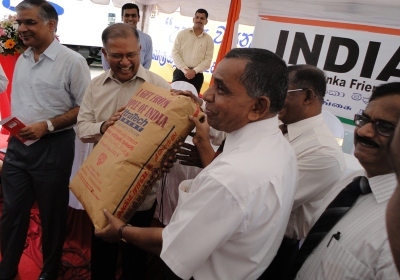 48,500 kg of seeds & 95,000 packs of agricultural implements distributed to IDPs to revive farming. 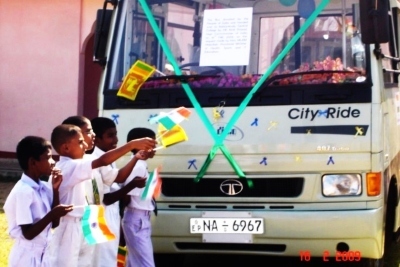 All the 79 schools damaged during the conflict have been renovated. 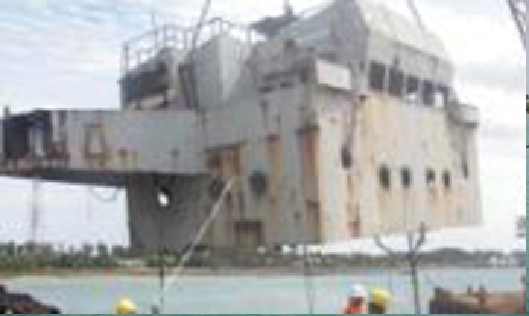 Project completed on 31 July 2012. 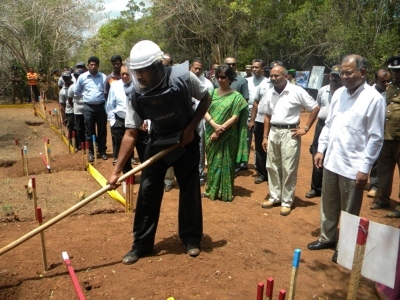 Demining work was carried out by Indian NGOs Sarvatra and Horizon. Project completed on 30th Nov, 2012. 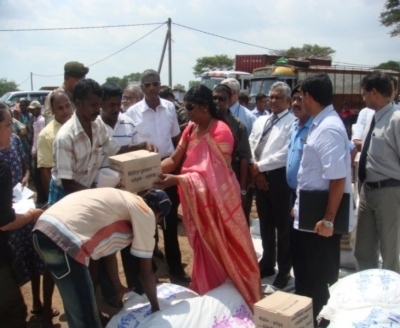 12 sheets distributed to each IDP family benefitting about 95,000 families. 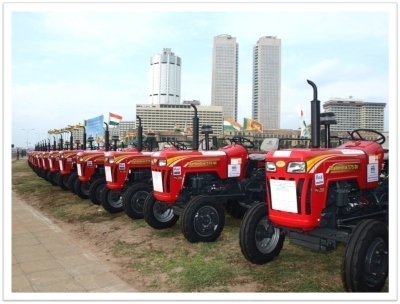 Training of Employee on new machines was also arranged by Government of India.